Lightning is a giant sparkle of electricity that we see as a bright flash of light. Lighting sparks start in the clouds. 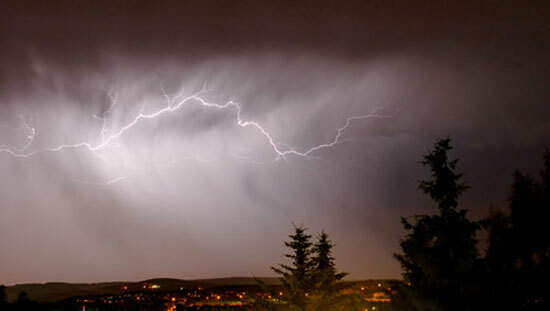 During thunderstorm, countless numbers of water drops inside the clouds become charged with the electricity as they are whipped about and torn apart by strong current of air. Scientist tells us that part of the cloud becomes positively charged while still another part was negatively charged. The opposite charges pull toward each other. When the difference between the two electric charges becomes great enough, a current of electricity – which is lightning – jumps the space between. A bolt of lightning can also jump to an oppositely charged area in another cloud or leap between the cloud and the earth. As the lightning jumps across the sky, it heats the air in its path. The heated air quickly expands, causing a great sound wave which we hear on the ground as thunder.